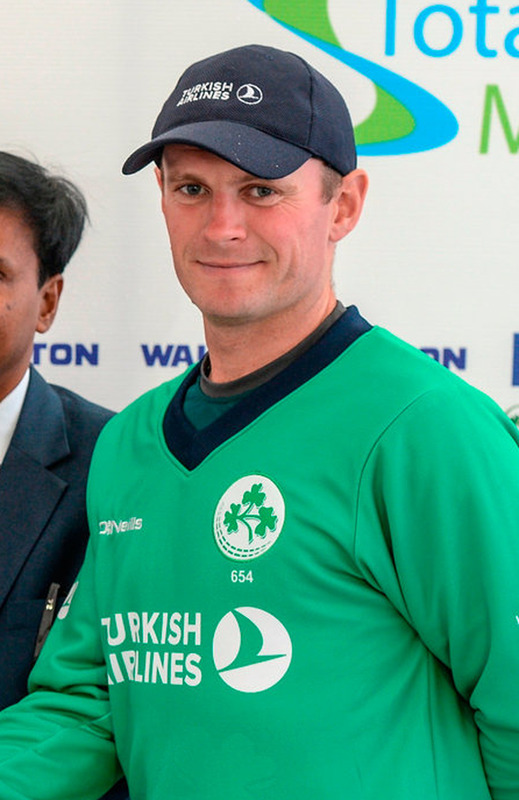 Ireland will be playing for little more than pride against Scotland tomorrow after seeing their hopes of a fourth successive appearance in the World Cup all but dashed by a crushing 107-run defeat by Zimbabwe yesterday at the Harare Sports Club. Yes, there is still a pattern of results that could still see the Boys in Green qualify for next year's finals in England, but without the unlikely help of the United Arab Emirates, it's the longest of shots, and dependent of nett run rate that wasn't helped by such a huge loss. At the halfway stage, Ireland would have been reasonably confident of chasing down the home side's 211-9 on a dry, turning pitch but a succession of early setbacks saw an autopsy launched on social media long before the last wicket fell on 104. Were Ireland right to insert Zimbabwe after winning the toss on a pitch that seemed sure to deteriorate? What was the thinking behind dropping Simi Singh after his off-spin had claimed 3-15 in the previous game? And was Gary Wilson really in the right state of mind to play after dashing back to the UK for the birth of his first child earlier in the week? "It was a game of two halves," captain William Porterfield said. "We were very happy with the performance in the field but then we lost early wickets and at 15-3 Zimbabwe really put the squeeze on. Stirlo batted well but we just couldn't find a partnership to get us back in it. "It was an extremely gettable target. We knew the pitch was going to slow and we knew from several days ago that we were going to face around 35 overs of spin but, fair play, after losing those early wickets they never let us back in the game. "We need to pick ourselves up quickly. We've got a game against Scotland that we need to win to get another two points on the board and then we'll see where we go from there." Zimbabwe got off to a flier with Tim Murtagh's second ball disappearing for six, one of three maximums as the home raced to 50-1 inside nine overs. Two wickets in six balls pegged them back and with key batsman Brendan Taylor lbw, playing a reverse sweep, Ireland were back in the match at 87-5. The visitors were on top for the first time when Niall O'Brien scampered from behind the stumps to brilliantly run out Craig Ervine at the non-striker's end and Zimbabwe slipped to 139-7 and in danger of falling well short of 200 when Graeme Cremer was bowled by Kevin O'Brien. Man-of-the-match Sikandar Raza rallied his side with 69 not out though and the Ireland chase began badly with the quick loss of Porterfield, Andy Balbirnie and Ed Joyce - the latter recording his first duck since 2015. Paul Stirling watched as the O'Brien brothers also came and went and although his sixth-wicket partnership of 32 with Wilson was the highest of the innings, the end was nigh when the opener was run out for 41. Wilson quickly followed for 15. The defeat leaves Afghanistan in the same precarious position and when Ireland meet the team now coached by Phil Simmons and John Mooney in the final Super Sixes game on Friday, it is likely to be no more than a chance renew old acquaintances and discuss what could have been.